Samsung announced its new range of smart televisions in India on Monday. The TVs come under Samsung’s Unbox Magic series with a bunch of pre-loaded features that are an industry first. With this, Samsung wants to enrich the TV viewing experience by offering features that will serve the Indian consumers well. Samsung’s new range of televisions consist of HD models with the company’s Ultra Pix technology and go all the way up to Ultra High Definition (UHD) models with a 4K panel. 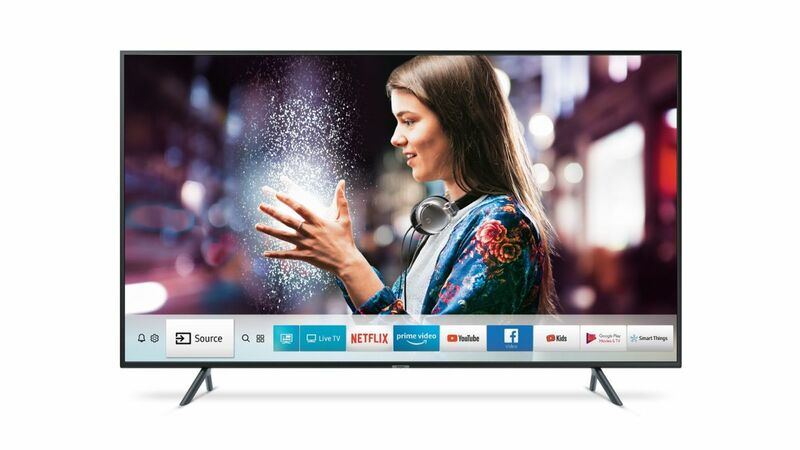 The new Samsung smart TVs provide remote access to a user’s PC or laptop and allow the television to be used as a large display for a computer. The functionality to mirror the screen of the PC or laptop is also present and enables users to extend their desktop to the TV. In addition, the desktop can also be accessed remotely courtesy of Samsung Knox from anywhere around the world as long as it is connected to the Internet. With the addition of a personal cloud, users can view pictures and videos right from the TV. The user’s smartphone will need to be synced to the TV and whenever the phone is in the proximity of the television, pictures and videos will be offloaded to the TV wirelessly. Samsung’s new range of smart televisions start at Rs 24,900 for the 32-inch model and go all the way up to 82-inch variant.